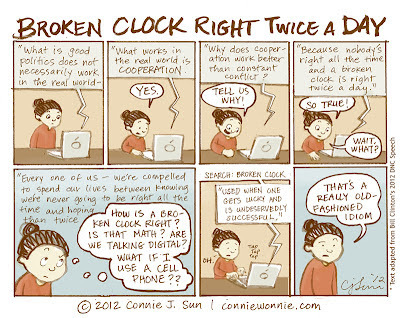 Please see the Lewis Carroll parable "The Two Clocks"! My mind drifts into tangents during speeches too. And then the speaker is talking about something that is connected to what I call the "trigger word" but now I'm thinking unicorns. Yeah, I've thought about this expression before, too. If the clock doesn't move, then the expression is correct. 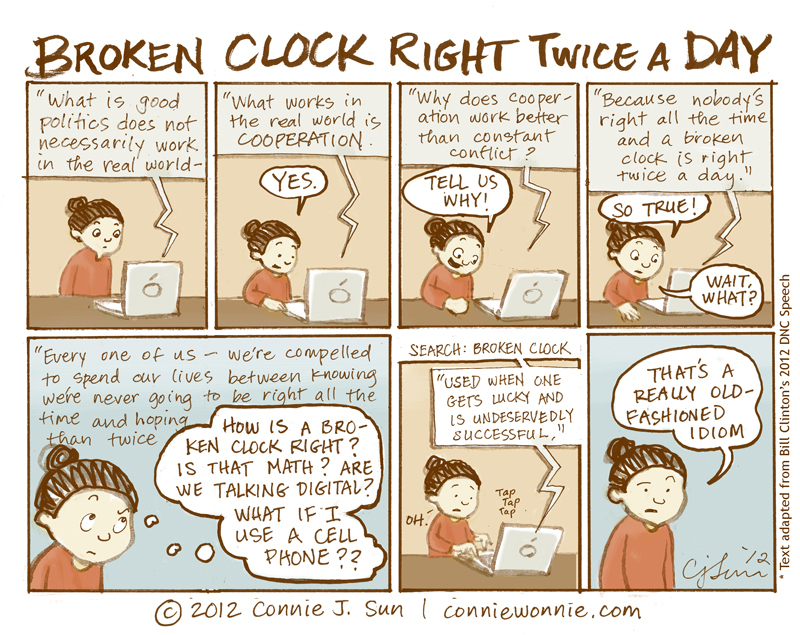 But if the clock is broken in a way that it is always 2 minutes late, then it will never be right!